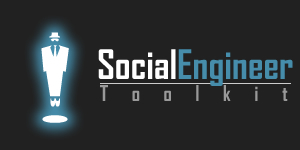 The Social Engineer Toolkit (SET) has been updated to version 1.0! We wrote about the Social Engineer’s Toolkit in our old post here. This release is called the Devolution Release. * Added the Adobe Shockwave browser exploit that I wrote for the Metasploit Framework. * Moved all of the SET menu mode source to main/set.py, the main set loader is just a small import now. More clean. * Fixed a bug in the web cloner where certain ASPX sites wouldn’t clone and register properly, thanks for the patch Craig! Added you to credits. * Added the SMS attack vector which can spoof SMS messages to a victim, it will be useful in nature if you want them to click a link or go somewhere you have a malicious site. Thanks to the TB-Security.com for the addition. * Added a repeatitive refresh flash for the java applet, so if a user hits cancel, it will prompt over and over until run is hit. Better way of getting the user to hit run. * Fixed a bug where spear phishing attack would not spawn meterpreter listener when yes was specified, this was caused by the new dll hijacking addition. * Added the reverse DNS meterpreter payload to both client-side attacks as well as payload generators for things like Java Applet, Teensy, attacks, etc. * Added the Internet Explorer CSS Tags Memory Corruption exploit to the Metasploit Client-Side attack vector through web attack. * Added the ability to change the bind interface for the command center. By default its on localhost only, but you can configure to listen on all interfaces and hit the web interface remotely. * Updated the SET User Manual to reflect the changes of version 1.0, it incorporates the web interface, set-automate, SMS spoofing, new configuration options, and much more. * Fixed a bug where you would leave SET or still be in and a stale HTTP web server process would still be there. SET now checks to see if the process is stale and terminates it. * Added the ability to toggle different shell terminal windows within the command-center. For example you can select XTERM, KONSOLE, SOLO, and GNOME through the set_config. XTERM will be the default. So, as you can see, this version fixes a lot of bugs and adds several key components including new attack vectors, a web GUI interface, a way to automate SET behavior, and a slew of bug fixes. Download The Social Engineering Toolkit v1.0 here.